My card features stamps and vellum from the kit. All I added was white embossing powder and a white notecard. Isn't this sentiment beautiful... the stamps are designed by the talented Kelly Rasmussen and I love them. Head to the Hero blog to see more sneaks. 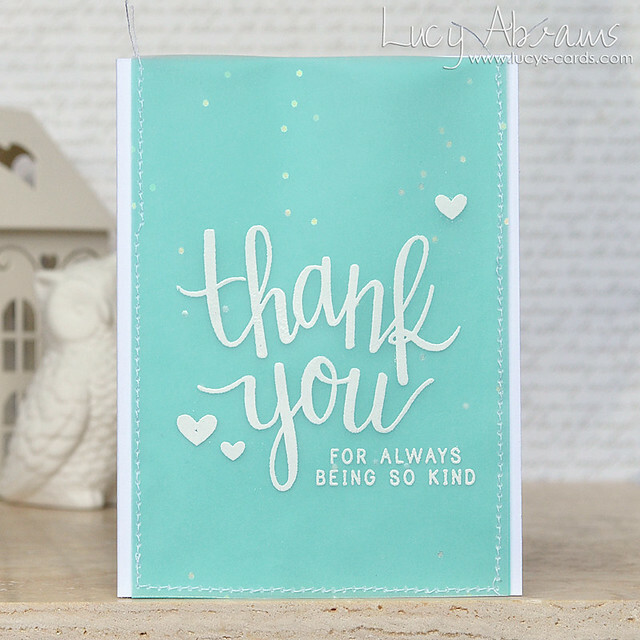 I love this pretty aqua and white card! Just gorgeous!